WHEN Roscommon can end a 39-year wait for a Connacht final win in Salthill, surely us Down folk are entitled to get a bit excited about Sunday’s Ulster final. The Mournemen have been here before, and the similarities between 2012 and 2017 are there for all to see. In 2012, the Down side I was a part of met a Donegal team who were regarded as contenders for the All-Ireland and going for back-to-back Ulster titles. They were a very slick and ultimately ruthless machine, attacking with much more purpose than in 2011. Tyrone are eerily similar this year, but Down should have learnt from their humbling final defeat five years ago. 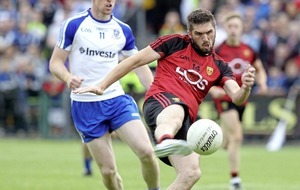 In the build-up to 2012, we had dispatched Monaghan, after being nine points down at one stage. Two weeks later, I tore my adductor during a challenge match with Sligo, an injury that would ultimately finish me as a player at county level. The build-up to the provincial final was altogether different for me, as I was racing to be fit for the match and an already bad mood had turned to a mild depression as I was unable to get up even to half-speed during rehab prior to the game. I can understand the feelings experiencd by any player battling an injury which may prevent them from competing in the biggest games, particularly those games that have the potential to create history. Thankfully for Connaire Harrison, this will not be the case as he has shaken off a hamstring problem. However, countering this good news is the fact that the best sweeper in the game at the minute, Colm Cavanagh, has shaken off his own injury worries. Cavanagh is likely to sit in front of Harrison and will generally try to stifle Down’s threatening full-forward line. The best option available to Down is to run the ball from deep with pace and attempt to either drag Cavanagh out of position or give themselves sufficient room to get into a scoring position and get a shot away. The Athletic Grounds and Clones are completely different spaces. Down found playing their semi-final against Monaghan in Armagh particularly advantageous as they were able to isolate and surround the Farney county’s dangermen to great effect. Clones is a far bigger arena, and when you actually play there, you quickly realise that open spaces are easily found. Those Down players who are new to St Tiernach’s Park will have to be aware of the endless amount of room available for opposition players to ‘punch holes’ and to create overlaps with runs from deep. Down will need to be patient and display the same intensity and willingness to play close to the edge – for want of a better term – as they did against Monaghan. My concern here is how the game may be officiated. Two different referees took charge during the win over Monaghan and the decision-making on the day varied from confusing to bizarre at times. 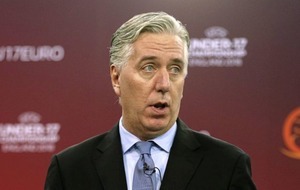 But do I believe Down can win their first Anglo-Celt since 1994? Yes. 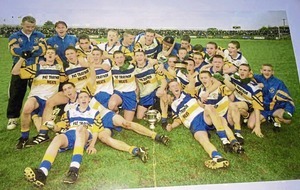 Although Tyrone are strong and worthy favourites, having ruthlessly disposed of both Derry and Donegal, before that many soothsayers were predicting their downfall and indeed questioned Mickey Harte’s management credentials, all based on their results in the latter stages of the National League. If Down remain compact and disciplined in the early stages of the match, they will grow into the game. They cannot allow Tyrone to dominate as Monaghan did in the first 15 minutes. Down need to be as ruthless with their scoring chances as Tyrone are. The Red Hands are packed full of experience and class all over the field, but they will allow the Down players to have plenty of possession. I’m fairly sure Tyrone will base their entire system of play on the one fact that Down will take the ball into contact and errors will result, which will be turned into a rapid counter-attack. It will be difficult for Down to counteract all of Tyrone’s hugely talented individuals. How do you try to curtail the Cavanagh brothers, Peter Harte, Niall Sludden, Mattie Donnelly and the McCann brothers,Tiernan and Conall? The experience of winning finals, playing in big games and having perfected their own system over the last few years will mean that Tyrone present a formidable opponent to overcome. However, the reality of Down’s semi-final win over Monaghan is that most pundits and supporters believed the Farney county would go through, and would then play out a really close-fought affair with Tyrone. A fair few pundits were talking up Monaghan as potential Ulster champions. Yet somehow Down have little or no chance of securing a result against this Tyrone side. I just don’t buy into the fact that Down can’t win this match. In addition, if Down were to win, does that makes them All-Ireland contenders? Of course the task is huge and to make such a leap into this bracket will take something really special. Already though, this Down side have far exceeded expectations for 2017. 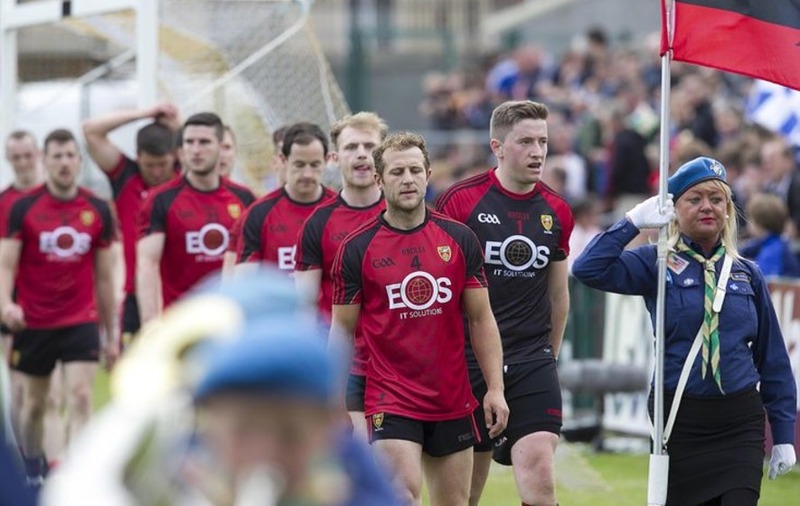 If you’d said to even the most ardent of Mourne county fan as recently as April that Down were Ulster and maybe even All-Ireland contenders, a visit from health officials would surely have been recommended. But Down can surprise a few people. Although Donegal seem to be struggling at the minute, Tyrone are not nine points better than them, even if their semi-final result says differently. Maybe its naivety (or even stupidity) on my part, but I would guard against a snap judgement of this Tyrone team. Just look at their National League form, which was brilliant early on and then tailed off. There was just something about that which didn’t sit right with me. It is all about Championship, though, and on that basis most agree that currently Tyrone, Dublin and Kerry are the form teams in the country. Kerry have won their provincial title, Dublin are on course to do the same, and Tyrone will want the easiest route to an All-Ireland quarter-final. My heart says one thing but the doubts remain, which has been pretty much a constant since my playing days. Where once I went into every game in optimistic mood, now I tend to fear the worst. The beauty, though, with some of these current Down players is that their relative youth and absence of fear will stand to them on Sunday. They have nothing to lose, and everything to gain.